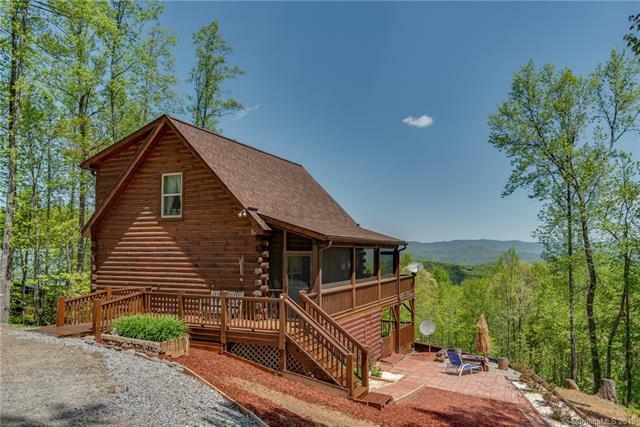 1200 SF Log home with a big view, 2BR/2BA, lives large. 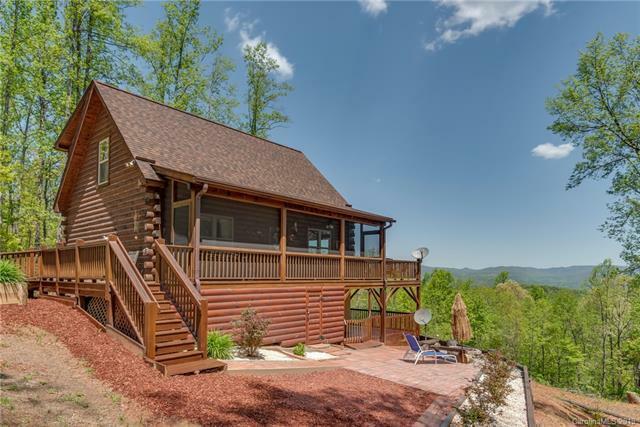 1.5 story upscale cabin offers the best in a weekend retreat or full-time escape. Between Charlotte and Asheville, year-round accessible and an easy drive from the airport. Enter via a screened-in porch to the living room where a wow floor to ceiling view greets you. With similarly sized bedroom on both floors either may be used for a master. A loft with a view may be used as a third bedroom, but its a nice bonus with a fantastic view.Uncommon outdoor spaces add ambiance and more living area. Theres a wonderful covered, floored space below where a breeze nearly always blows. An patio with a fire-pit is a good place to gather under the stars. The cabin has nearly 1,000 square foot of decking. Underneath a storage room and neatly finished crawl space afford a handy workshop with a sink and toilet. Low maintenance landscaping complements beautiful hard-scaping. 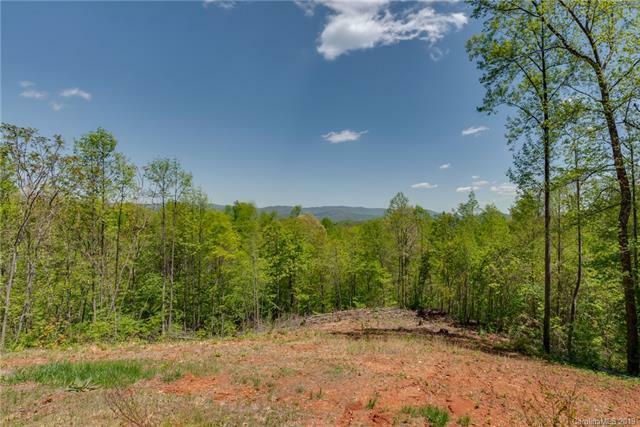 You'll love that rare mountain home commodity - parking. Offered by Mccalls Real Estate. Copyright 2019 Carolina Multiple Listing Services. All rights reserved.